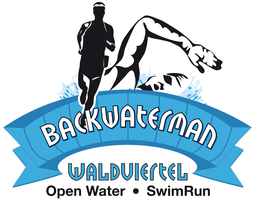 The event is an endurance competition lasting four or more hours, consisting of several trail and open water swimming stages. The present regulations are binding for each participant in the event (participant) on the conditions of participation. The condition of each participation is the full recognition of the present regulations. The race management is represented by Franz Frühauf and Andreas Sachs. The organizer owns the unlimited event sovereignty and is entitled at any time together with the race management by majority vote to make decisions relevant to the event, in particular for objective reasons (eg road damage, environmental protection, weather conditions) - even shortly before the start - to change the tender, the distance to extend or shorten the call for tenders to a reasonable extent. The organizer, together with the race director, is entitled to disqualify participants and teams by majority vote if they violate these racing rules. Instructions of event staff and uniformed emergency services (police, fire brigade, rescue) are to be followed immediately and without restriction. In the event of non-compliance, the organizer, together with the race director, is entitled to disqualify the participant and the team by majority vote. Event personnel and thus authorized to give instructions in the name of the organizer are all persons identified accordingly by the organizer (for example, tender items). Eligible for participation are hobby, leisure and professional athletes. Only teams over the marathon distance, consisting of two eligible participants (team), are eligible to participate. Participation as an individual starter and team is possible within the half marathon and the trial distance. The minimum age of participants (end of the year) is 18 years at the marathon and half marathon, Trial - 16 years. Only persons whose general health permits participation in the event are eligible to participate. The organizer points out that the event is a multi-hour endurance competition, which requires intensive physical and mental preparation. Sufficient experience in open water swimming is strongly advised. The organizer recommends that a health exam be carried out by a specialist immediately before participating in the event. The organizer is entitled at any time to have the state of health of the participants examined by a specialist and if the latter expresses justified concerns about the state of health, to exclude the participant in question from the event (or its continuation). The requirement for participation with regard to each participant is the receipt of the confirmation of registration as well as the signed information and exemption statement (to be signed on the application). The route is presented in detail during the race briefing. The route is marked and signposted. Participants must follow the mark and must not deviate from the planned route. There are several checkpoints (= refreshment points) All participants have to go to these points and register there. The timekeeping takes place after the starting shot until crossing the finish line, in teams by the second participant of the team. Each team has to complete the route on its own. In particular, outside support leads to disqualification. The organizer and the race director reserve the right to change the course for objective reasons (for example, road damage, environmental protection, weather conditions). Timekeeping takes place electronically by chip by the company TimeNow Sports OG (RaceResult timing) Each team receives a chip. Each team is required to carry the chip during the race and to return it after the race. For a non-delivered chip, the organizer will charge 50,00 Euro. For a deposit of 20 € is required. Participants are required to go through the specified checkpoints. If the cutoff times announced before the race are exceeded, the race is over. Decisive for the assessment of the race time and the achievement of the cutoff times is the timing of the race management. The official start time is determined by the organizer. The grid starts 15 minutes before the official start. The post briefing for all participants by the race organizers begins 30 minutes before the official start. The race briefing for marathon and half marathon is obligatory on the eve at 18.00 in the castle Ottenstein. Starting after the official start is only possible with the approval of the race director. if the team or a team member is disqualified or eliminated by the race director, the race ends immediately and immediately for the team. If a team finishes the race by its own decision, it is obliged to notify the race management immediately. Costs of a search operation are charged to the affected team. It is not allowed to drop gear during the race. All competitors must carry their equipment from the start to the finish line. Motorized swimming aids are not allowed. The participants must comply with the traffic rules at all times. Participation requires constant caution and mutual consideration. Unclear tender parts are to be walked carefully, with crossings of roads and field extensions special caution is necessary, it is to be expected with crossing vehicles. Participants must behave in such a way that no one else is harmed, endangered or more than is unavoidable, hindered or harassed by the circumstances. In no case is it allowed to discard or drop things (e.g., catering packages). Unintentional violations will be punished with a warning plus a time penalty the first time. In the case of recurrence, the exclusion from the event. Deliberate discarding leads to immediate disqualification. Environmental impairments of any kind, which go beyond the level required for the competition, are to be omitted and can be punished with disqualification. Help from other participants and external third parties (other than team partners) is excluded. Except for this is the mutual help in emergencies. This is mandatory. Defects in equipment must generally be resolved by each participant in addition to the call for tenders without hindering the other participants. Each participant is responsible for food and drinks during the stages. The organizer will provide adequate catering at the catering areas. However, the organizer does not guarantee the availability of food and drinks. Each participant is obliged to wear their starting numbers (the two participants of a team have the same starting numbers) at all times during the entire event. The advertising on the start numbers must not be obscured or otherwise rendered illegible. The participants of the same team may not move more than 10 meters apart on land and in the water. Otherwise the disqualification threatens. The organizer is liable unlimited for damage resulting from injury to life, limb or health, which is based on a negligent or intentional breach of duty by the organizer or a legal representative or vicarious agent of the organizer. This also applies to other damages. The organizer is not liable for damages resulting from a negligent breach of duty by the organizer or a legal representative or vicarious agent, unless this involves damages resulting from the violation of cardinal obligations. The liability for damages resulting from the violation of cardinal obligations is, however, limited in height to the replacement of the damage foreseeable at the time of the conclusion of the contract and typical for the contract. "Cardinal duties" are those whose fulfillment makes the proper execution of the contract possible in the first place and on the compliance of which the participant may regularly rely. This limitation of liability expressly applies to lost valuables, clothing and equipment. The participant is hereby expressly informed that he is solely liable for damages caused to the organizer or third parties (such as other participants or spectators), insofar as the participant is responsible for them, i. intent or negligence on the part of the participant. The organizer recommends the conclusion of a personal liability insurance. The registration and payment takes place via the portal of the company Raceresult. There is no refund of the registration fee, unless the cancellation of the event or the event cancellation is based on intent or gross negligence of the organizer. The exchange of a team partner is possible until the race day. The organizer is entitled to create and / or have created photo and video recordings of the participants in the course of the event and these - subject to paragraph (2) - without any temporal, local and content restriction on TV, Internet, in print, any known and also future medium, also for advertising purposes without time limit to use free of charge, in particular to publish and / or edit, ie without the need for compensation / compensation. This includes, in particular, the right to grant third parties (such as sponsors of the event) the right to use. Specifically, it does not cover the use of individual participants (or a group) in a way that emphasizes the participants concerned in such a way that it is no longer the event or event participation that is the focus, but the person himself. Such uses require the prior approval of the affected participants. The participant agrees that the collected personal data will be passed on to third parties for the purpose of timing, creating the result lists and the setting of these lists on the Internet. The participant agrees to the publication of his name, first name, year of birth, place of residence, team name, his start number and his results (placings and times) in all event-relevant media (list of participants, results, etc.). The participant may at any time object to the disclosure and publication of his personal data to the organizer in writing by mail or e-mail.